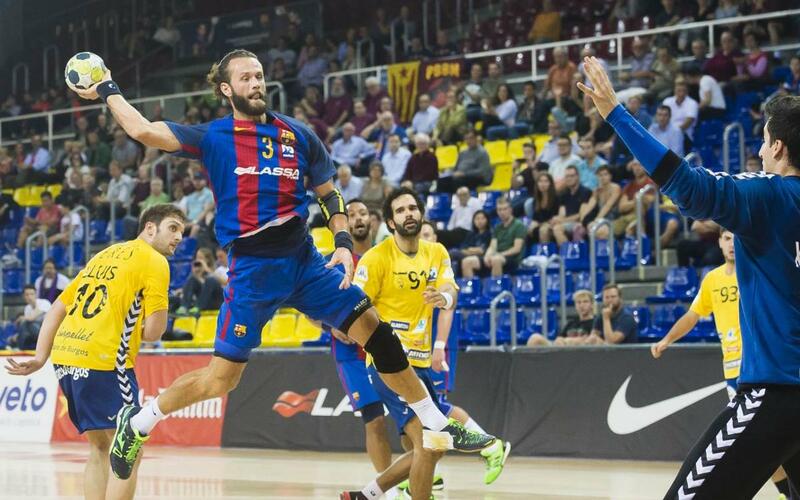 FC Barcelona Lassa handball recorded their eighth straight win of the season against BM Villa de Aranda on Tuesday night, and maintain their spot at the top of the table. Xavi Pascual noted the difficulty that their opponents could pose before the game, and it certainly was not easy to begin with. Barça led 6-4 after the first ten minutes but were yet to find their rhythm. Some fine defensive work coupled with more lethal finishing saw Barça stretch their lead as the game went on, finding themselves 19-8 ahead going into the break. From then on, it was a case of how many. Barça maintain their eleven-goal advantage until ten minutes to go when the visitors began to creep slowly back into the game but it was never enough to threaten the result, as the Catalans wrapped up the game 36-28 for a whopping 99th straight win.